I've been a bit all over the place the last couple of weeks. As I have shared on social media and in my latest general update blog, I'm now looking at an increase in my thyroid medication dosage and looking at whether I can afford to see a private doctor for a prescription of NDT medication. I currently self-source my NDT, but for various reasons am becoming less comfortable with doing so, as time goes on. Because of this upheaval in my health and routine, I have also been feeling a bit all over the place mental health wise too. I'm feeling more anxious as well as low in mood lately, and some days just feeling overall very frustrated. 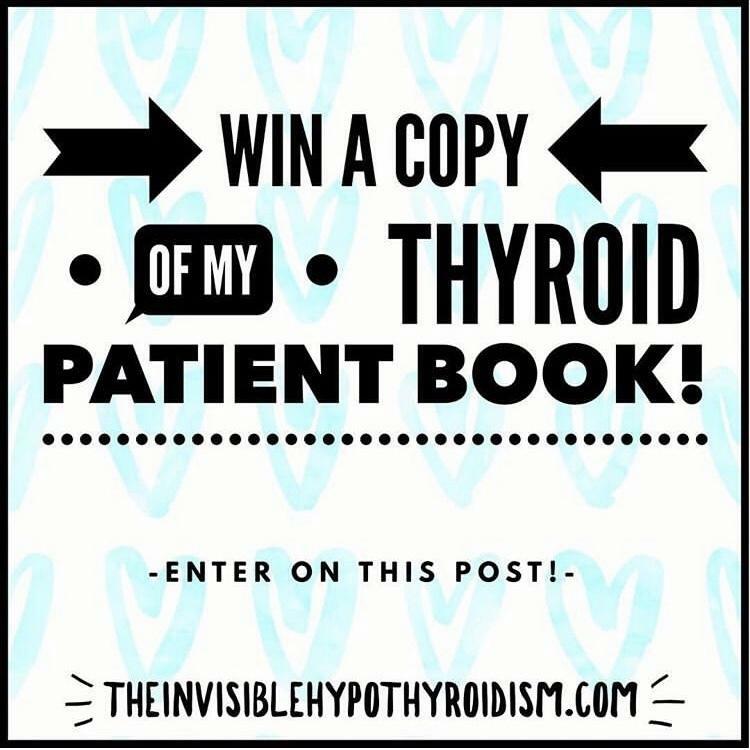 Having thyroid disease can be a real test of patience and persistence. So please do excuse me if I'm not as chatty online as usual - when I'm feeling more low or anxious, I tend to spend less time online as it makes me feel worse. I have a competition giveaway running on Instagram which ends next week, so don't forget to enter that here. I hope you're all having a good week but if you're not, I understand and I'm sending you a virtual hug. A UK survey by Healthwatch England that thyroid patients can complete, to air their thoughts on the care and treatment they have received for their longterm thyroid condition. Looking at dining out when avoiding things such as gluten and dairy, the writer comes from a familiar standpoint. Isn't it crazy that I have to source the very thyroid medication that keeps me alive? This is what my thyroid flare ups feel like. What are they like for you? I wrote an open letter for the mothers with hypothyroidism. "I know you feel tired, achy, at times frustrated and strained. You push yourself each and every day to keep on going, keep on raising your family with love and kindness despite your own body fighting against you." Great care should be taken with physical activity when you live with endocrine issues such as thyroid disease or adrenal dysfunction, as too much exercise can exacerbate these conditions and actually cause us to feel worse.